What is the fate of a joint family in the Madangir area of Varanasi, when one member is discovered to have become a terrorist and killed soon after? The impact on the family makes the film an interesting treatise on nationhood at a time when 4 million people could potentially lose citizenship. As has happened in numerous "terror" cases that did not stand the test of law, the police sets about arresting the boy's father and suggests that his uncle, a city lawyer touchingly played by Rishi Kapoor, is also involved in the conspiracy. 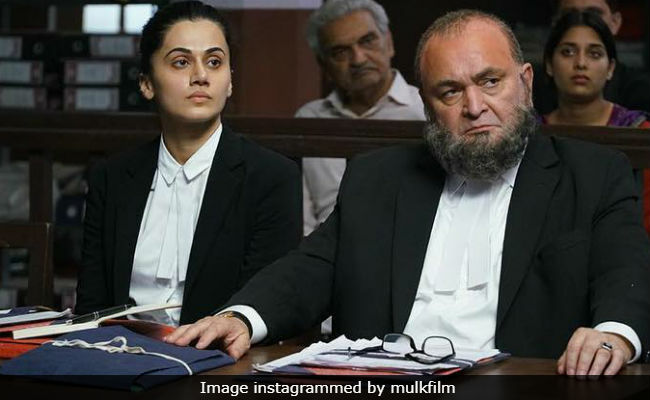 It's left to the Hindu daughter-in-law, lawyer Aarti Malhotra Mohammad played by Taapsee Pannu, to fight the case in court. The director, born in Allahabad and educated in Varanasi and at the Aligarh Muslim University, gets the milieu bang on. The backdrop in which the film moves is strikingly accurate. The little chai shops of Benaras, where judgements are passed as old friendships deteriorate into hostility also fuelled by changing politics. The film is based on true events, according to its makers. The real arguments on citizenship and prejudice take place in the court, so the second half is courtroom drama. The script brings in all the tropes about Muslims - they breed too much, don't focus on education, train their children to be terrorists, have suspicious names, their long beards are a marker. These people are like that only, repeats the smarmy prosecution lawyer, effectively played by Ashutosh Rana. He's good and keeps the pace ticking but what stands out for me is that his dialogues place every known prejudice against Muslims on the table. Because I liked the film, I do, however, worry that it may not be subtle enough for the art house audience while I'd be curious to see whether it clicks with the mainstream. I was actually moved in parts, possibly because it's touching to see a director still searching for the idea of humanism in the midst of what is unfolding around us. In a monologue delivered by Aarti Mohammad, the film argues that the Us vs Them narrative does not build nations. Even if it seems to determine the electoral strategies of political parties. 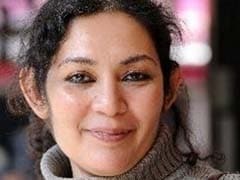 TV shows seek ratings by dishing out programming based on variations of Us vs Them: Nation vs Enemy, Muslim vs Hindu, India vs Pakistan, Kashmir vs India and so on. This film is released at a time when there is a real crisis in Assam where the National Register of Citizens (NRC) has omitted 4,007,707 people from the lists of valid citizens of India. At this point the potential "non-citizens" includes both Hindus and Muslims. But the BJP is likely to eventually pass the Citizenship Amendment Bill (2016) that gives Hindu migrants from Bangladesh, including those who have come in recent decades, a route to get Indian citizenship. The implications are therefore simple and ominous: there can soon be different legal categories for Hindus and Muslims who migrate into India. What is unfolding in Assam derives from a distinct local problem and a particular history. But there are already calls being made by some TV anchors and a few intemperate lawmakers of the BJP to extend the process to other parts. The basic question being asked overtly and covertly is this: do Muslims deserve to be citizens of India? It is indeed an apocalyptic time for millions of people. 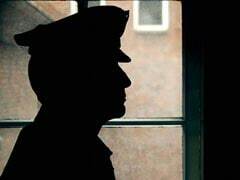 In one scene in the film, Rishi Kapoor walks out of his home to find "Go to Pakistan" written on the walls. I'm told so every day on social media as I continue to engage with the debates in my country. It is now water off my back. At the emotional level I console myself by feeling sorry for people who are ingesting and vomiting so much poison, day after day. My rational mind also knows that identity politics is an old story across the globe. On the matter of considering some citizens less equal, Donald Trump was against people from Latin America, notably Mexico, and he'd famously promised to build a wall on the US-Mexico border. Closer home, in Malaysia, laws seek to sort citizens on the basis of ethnic discrimination in favour of the Malay majority, and are discriminatory towards Chinese, Indians and other groups. Winning support by pitting one group of people against another is as old as language and may have happened in ancient tribes. Towards the end of Mulk, the judge tells Rishi Kapoor, "The next time you are questioned, start distributing photocopies of some pages of the Indian constitution." It's a cheesy moment. But it's also effective. The Constitution still protects all of us. Those of us who remain citizens, anyway.